Pitney Villa was a large, three-bay, two-storey house on the west side of Kingston, immediately opposite the grounds of Kingston Manor House that would, after 1916, become Bide's Gardens. As seen on the map below, it also had long rear gardens that reached all the way to Park Road to the south. It is not known when Pitney Villa was built but it does not appear on the 1858 map of Yeovil but does appear on the 1886 Ordnance Survey map and its occupants at the time of the 1881 census were 73-year old agent William Neale, his 70-year old wife Charlotte and her 69-year old sister Sarah, together with a domestic servant. In the 1891 census 37-year old unmarried Architect & Surveyor was in residence with a general domestic servant. In 1911 Pitney Villa was home to, and presumably dental practice of, 58-year old unmarried Dental Surgeon Henry Helyar, his older sister Mary Ann and a general domestic servant. 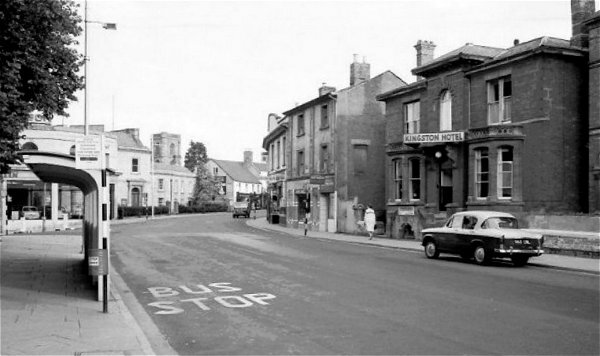 Certainly by the 1960s Pitney Villa was being used as a hotel - the Kingston Hotel - and is shown as such in the second photograph below. 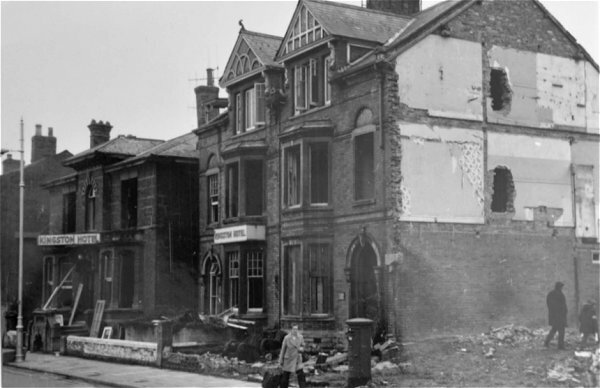 Pitney House was demolished in 1976 as part of the Queensway dual carriageway project. 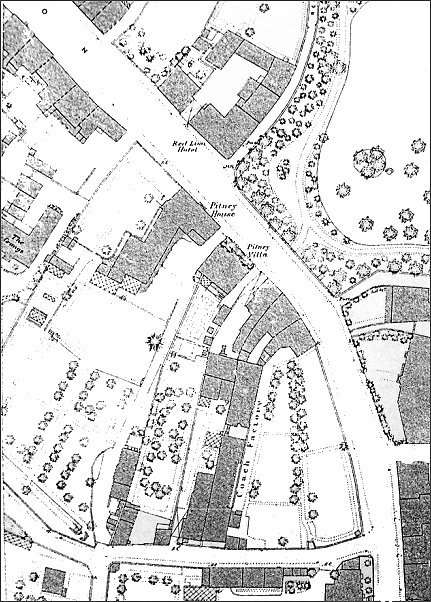 This map, based on the 1886 Ordnance Survey, shows Pitney House at upper centre, opposite the Red Lion Hotel and the grounds of Kingston Manor that would become Bide's Gardens after 1916. The extensive gardens of Pitney House stretched all the way down to Park Road, seen running across the bottom of the map. 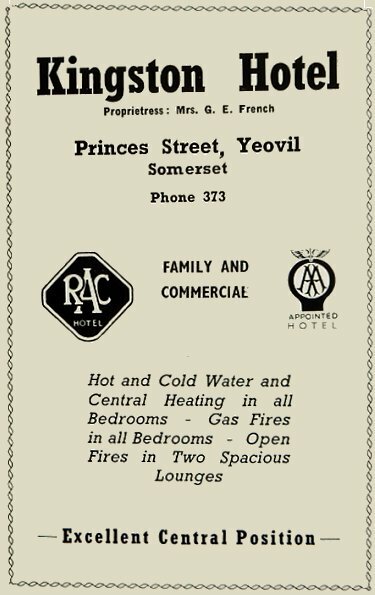 The Kingston Hotel's advertisement in the 1958 Yeovil Guide. 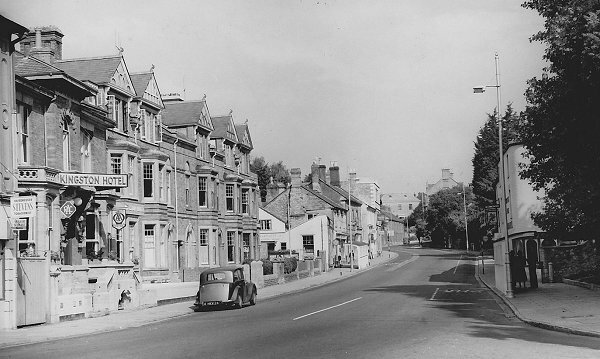 In this photograph of 1956 Pitney Villa in its guise as the Kingston Hotel remains, but Pitney House has been replaced by a short terrace of three-storey villas. 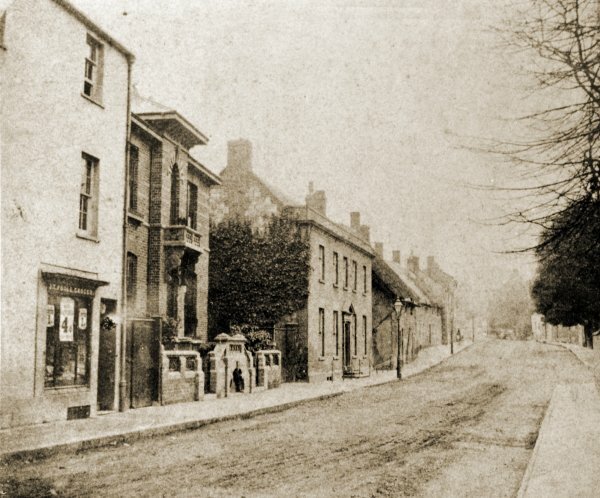 These later became part of the Kingston Hotel. 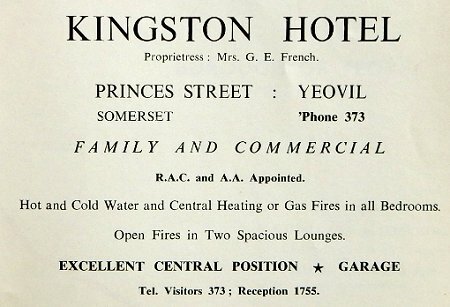 The Kingston Hotel's advertisement in the 1961 Yeovil Rural District Official Guide. Pitney Villa, in its guise as the Kingston Hotel, photographed in the mid-1960s. 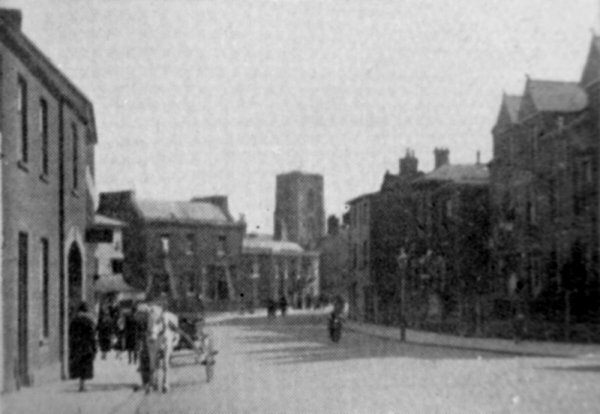 The bay windows are late-nineteenth or early-twentieth century additions, not present in the first photograph. 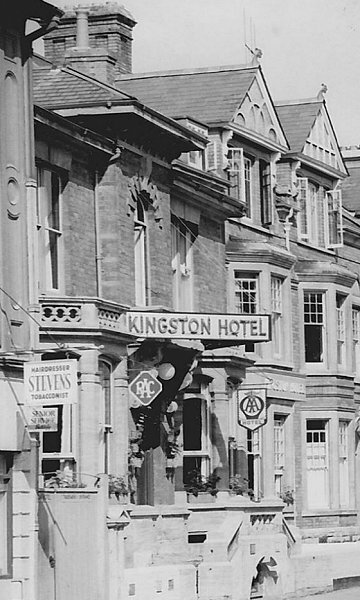 The Kingston Hotel photographed in the late 1960s. Demolition begins to clear the way for the construction of Queensway. Photographed in 1976. 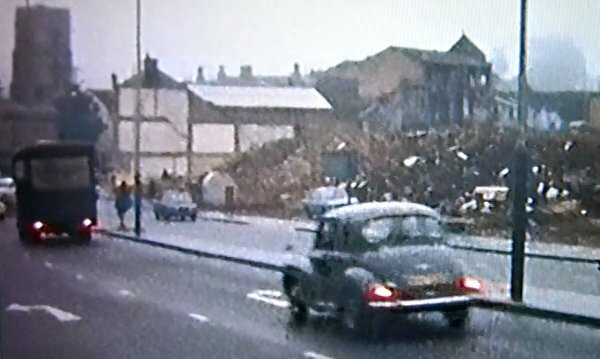 From a home movie, the Kingston Hotel and other buildings have been demolished ready for the construction of Queensway.